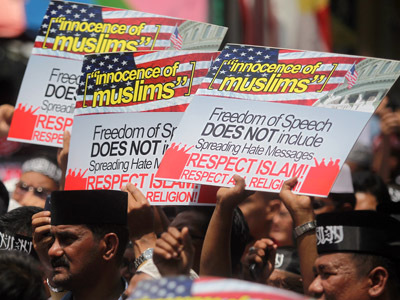 The filmmaker allegedly responsible for the anti-Muslim film 'Innocence of Muslims,' which sparked anti-US protests around world, was called in by Los Angeles police for questioning, county officials confirmed. Nakoula Basseley Nakoula, 55, was taken to a police station in Cerritos, California, where he was interviewed by federal probation officers, LA County Sheriff Department spokesperson Steve Whitmore confirmed. Media and law enforcement officials staked out a house reportedly owned by Nakoula at the end of a cul-de-sac in the southern California city for around 48 hours, until the man emerged wearing a coat, hat, scarf and glasses. 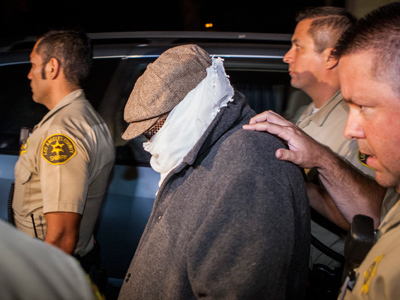 Nakoula claimed in an interview with the AP that he was not the director of 'Innocence of Muslims,' but a logistics manager for the film. However, Nakoula's Coptic Christian bishop contradicted this account and claimed the man had told him that he was not involved in the film. "The US probation office in the central district of California is reviewing the case," court spokesperson Karen Redmond told reporters. Police are investigating Nakoula's alleged involvement in creating the film 'Innocence of Muslims,' and for possible parole violations. The California probation office is reviewing whether Nakoula, who was convicted on bank fraud charges, violated his parole by uploading the film onto the Internet. His terms of parole required that he seek approval from his probation officer before buying or using Web-capable devices, and that any approved device could only be used for work purposes. He was also restricted from circumventing this rule by enlisting others to access the Internet on his behalf. 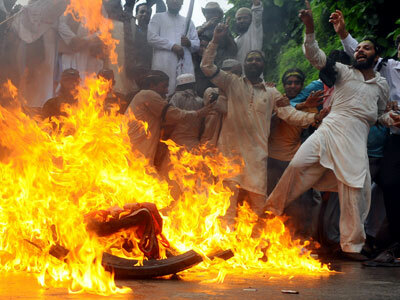 The 13-minute video, which portrayed the Prophet Mohammad engaging in a variety of offensive behavior, sparked anti-US anger and protests around the globe, including violent clashes at US embassies and the death of US ambassador to Libya. Nakoula, known under at least a dozen other aliases including Sam Bacile, the name under which the controversial film was produced, had been previously convicted of crimes including bank fraud and the intention to manufacture methamphetamine. In 2010, he was found guilty of opening bank accounts using stolen identities and Social Security numbers, and was sentenced to 21 months in prison. 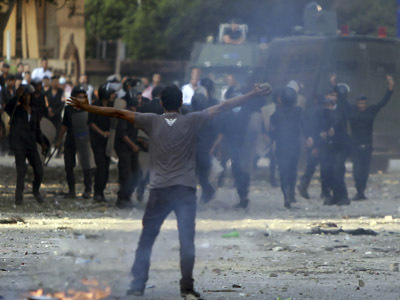 Nakoula was released in June 2011 on the condition of restricted Internet access for five years.